Last week, I gave you a sneak peek into the ins and outs of making your own light table. (Well, at least our versions of them!) There are oodles of different things you can do with a light table, but one of our favorites is to draw on it! Sometimes we use sand and sometimes we use salt. Today, we covered our table with a layer of salt and then added a package of dry Kool-Aid to give the salt a slight tint and a wonderful smell! The children spent quite a bit of time throughout the day, drawing and writing. Sometimes they would use their fingers or hands, and sometimes they used other tools like plastic butter knives or wooden dowels. I love how the light adds optical aesthetics to this tactile activity. 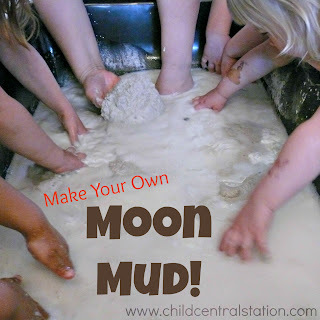 Even some of our younger friends found this activity to be intriguing. Have you tried sand or salt on your light table? I really want to try this on my light table too! I love the sensory experience blended with the exploration of light! I'm going to check out your DIY light table, as this sounds really good. 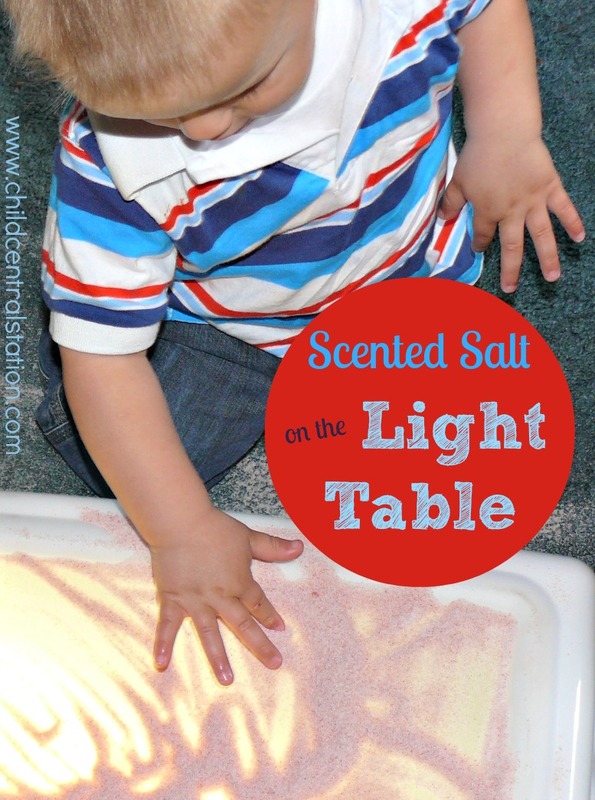 i take it the salt doesn't scratch the light table?